The problem for many motorists: only 85% of drivers fasten their seat belts in USA and 75% in Europe. This means that many million of users don’t fasten their seatbelts. -	The retracted position relative to the seat belt generates discomfort or forgotten for some motorists who do not fasten. -	Besides these, there are categories that cannot connect them for theirs real problems such as handicapped, the obese and the elderly for which fasten it is difficult or even impossible without the help of others. The number of "non-users" is huge and shows us a great car market that is waiting for solutions about seat belts that may be effective but also affordable to all. 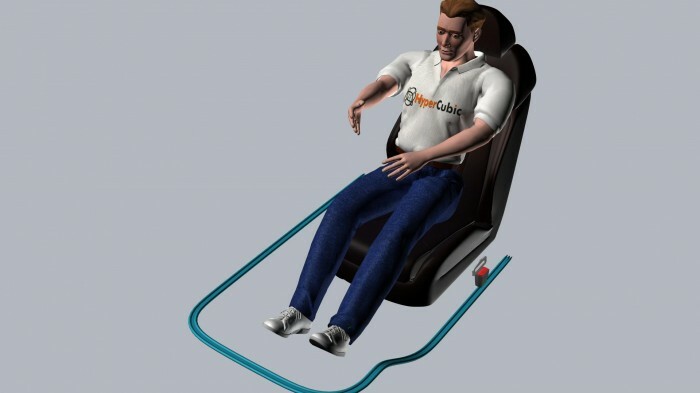 When the engine start on, our system is activated and a motorized component carries the seat belt from the initial position, between the seat and the pillar of the car as found in cars on the market today, to the work position, alongside of the seat on the opposite side of the upright and the seat belts are fastened. When the engine shuts down, the same mechanism carries back the belt to its original position freeing the user. 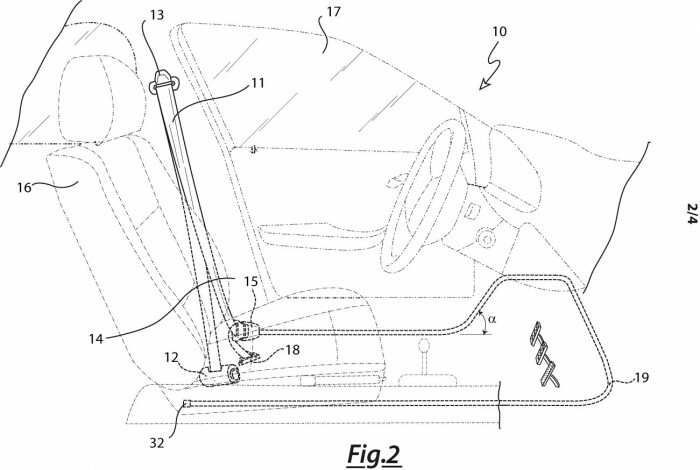 The innovative concept of our patent is that "goes beyond the voluntary nature of the user" is independent of our will, just like power steering or ABS activation. Wanting to make a comparison between my motorized and manual belts on the market today, it is as if in our cars to activate the ABS system was manual and equally as difficult for some actions for which the result would be that many do not activate it. Seat belts in my opinion should become just like all automatic security already present in our cars: automatic and beyond our control and / or physical abilities. - the persons don’t fasten their seat belts for the trouble to do so. - handicapped, elderly and obese patients cannot wear them only with the help of others. 2) It has no equal on the world market. 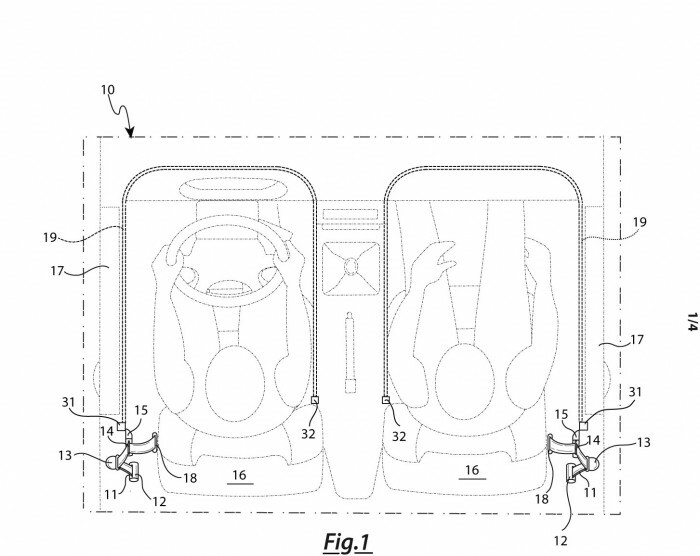 3) It eliminates the risks that might occur when you activate the airbag when the seat belt is unfastened. 4) The belts will be networking power of the engine as all the devices like power steering or ABS. 5) In the rest and work position, the straps are positioned as in current systems. 6) The system is activated in a few seconds. 7) There is no discomfort to fasten-unfasten belts. 8) It has very low costs of production and management. 9) It 's safe and easy. - a partner that be able to develop our patent and market it. - sell of the license to produce with royalties. The markets are: car, trucks, tractors, special cars. Every year in the world, about 100 million of vehicles are produced and our rights cover about 80% of total. 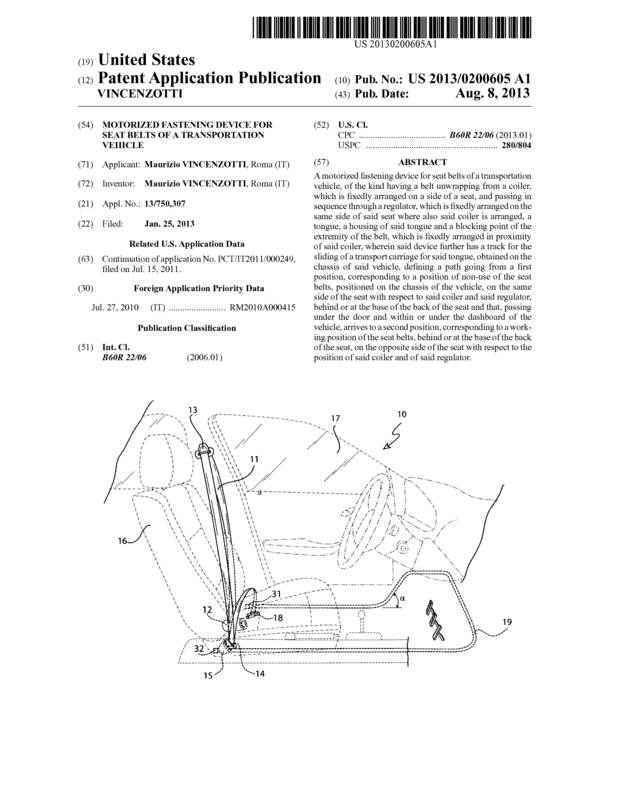 Page created at 2019-04-23 6:47:17, Patent Auction Time.